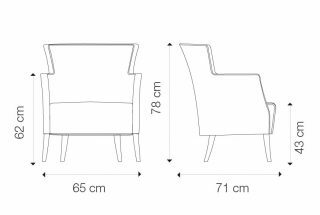 The ROSE armchair boasts exclusive design consisting primarily of distinct sharp outlines emphasized on the backrest and the armrests. 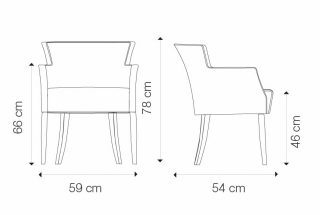 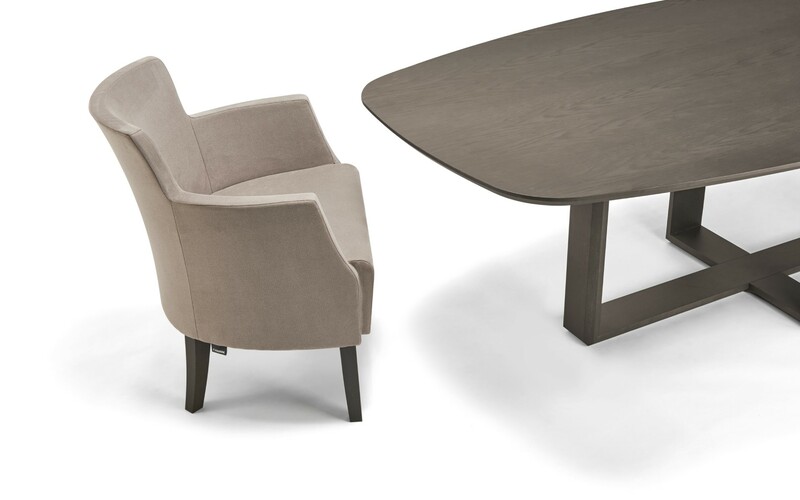 Its high upholstered seat makes the armchair look more robust. 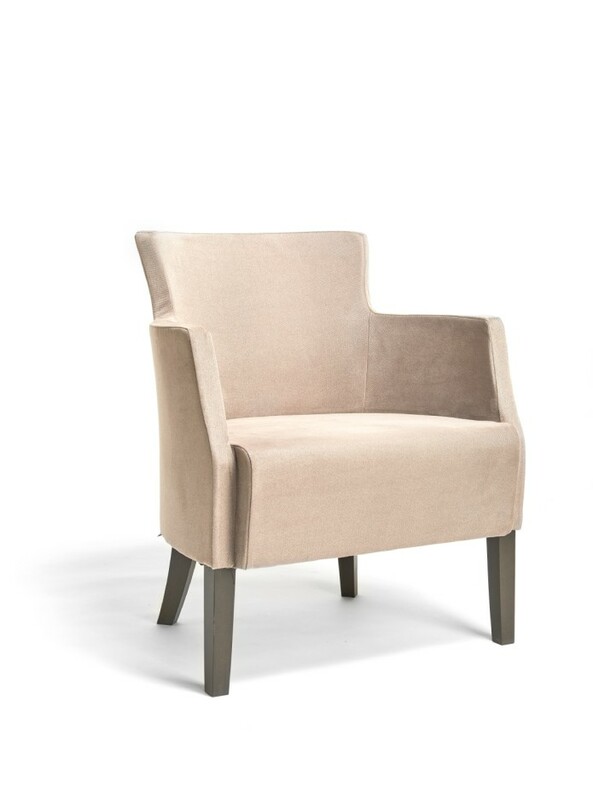 All in all, this armchair will fit well in sophisticated classic interiors as well as in fashionable and timeless ones.